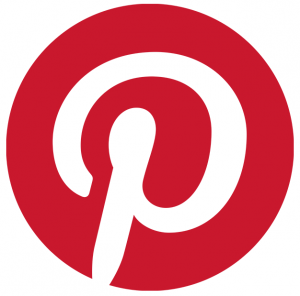 How Important Is Pinterest Really? Pretty important. For one thing, the hype created around it caused such a surge in use that it grew faster than any other independent site in history. Kind of a self-fulfilling prophecy. Of course, if it was just a hype then Pinterest would have crashed by now.., but it hasn’t and it probably won’t. To answer a question like above you’d show a lot of statistics and just say “voilà, that is why Pinterest is important”. So, here are some statistics.., just for the record. There are more statistics to find, and most of them in favour of Pinterest. According to these statistics it is pretty obvious that Pinterest is an important player, and that you need a presence there. Especially if you are a retailer and you target audience is female.., because they rule on Pinterest (80% vs. 20% men). It is at this moment, by far, the most visual social network out there. And the way they present the whole thing is unique too. When needed to explain what Pinterest is, nobody could, or can, compare it with something else. Other social networks are taking notice, making their timelines more image friendly (Facebook) or creating a desktop presence (Instagram). But, it won’t help. Pinterest has the momentum it needs. With over 20 million users it has the interest of investors and it has a head start. And with them rolling out “business” accounts they’re moving into Facebook Pages territory. So, is it important for you, or your business? Well.., it might be. It depends, as always, on whether or not your target audience resides on Pinterest. If that’s the case than Pinterest is very important and the first thing you should do is create an account, here is the link. For personal use it can be a lot of fun, but I wouldn’t go as far as saying it is important. Although, as is the case with Facebook, some people live on the network and consider it their life’s work. I guess you can say Pinterest is getting there, and you need to get with it too. Previous Previous post: We no longer have any privacy, or do we?